In 2015 several members of the PPS spent 2 weeks on a photographic trip in Japan. 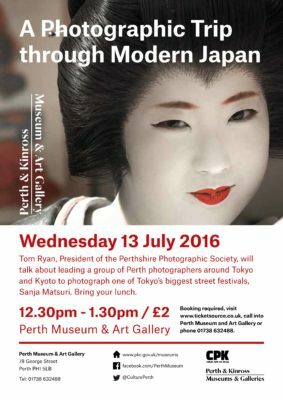 Tom Ryan, President of the PPS, will give a talk on photographing Japanese street culture at the Perth Museum and Art Gallery on Wednesday 13th July. The PPS team spent some time in Kyoto then on to Tokyo to photograph the famous Sanja Matsuri street festival.